Beijing, China & San Francisco, CA (July 8, 2016) – Wanda Pictures and Dolby Laboratories, Inc. (NYSE:DLB) today announced that the Wanda Pictures feature “For a Few Bullets”, releasing on July 15, 2016, will be available for Dolby Cinema locations in China. 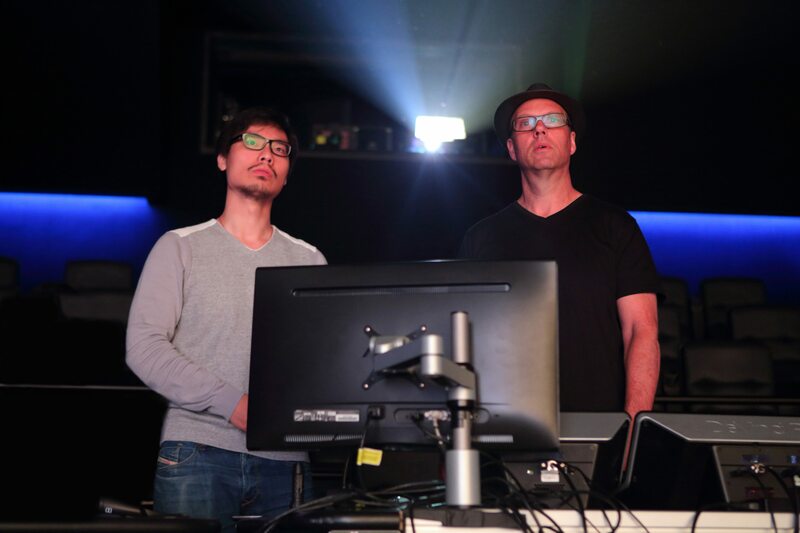 This will make “For a Few Bullets” the first Chinese local-language movie mastered in Dolby Vision and Dolby Atmos. Dolby Cinema, featuring Dolby Vision and Dolby Atmos, is a premium cinema offering for moviegoers that combines spectacular image and sound technologies with inspired design to make every visit a completely captivating cinematic event. Dolby Cinema begins with the filmmaker’s vision—using the full storytelling capabilities that Dolby offers in image and sound production to transform the way movies are made and presented. With state-of-the-art image, sound, and acoustic capabilities, the movie comes alive to deliver cinema in its purest form. Xiaozhuang (Kenny Lin), a cunning guy with flexible hands who is brilliant at witty gimmicks, is caught by Li Ruoyun (Zhang Jingchu) in a gambling game. Li, the government agent, accepts the task to recapture a national treasure, and she asks Xiaozhuang for help with his special talents. During the journey, they meet the master, Shifo (Tengri), and his wife, Jin Sanniang (Livia Liu). After experiencing a series of humorous adventures, the four decide to gather together for the final fight over the treasure. Wanda Pictures was founded in 2010 and is the film production studio and the distribution arm of Wanda Cultural Industry Group. Wanda Pictures has gained in 2015, 6.75 billion RMB (USD $1.04 billion) domestic box office, taking the first place among national private-owned film studios. The market share of 2015 is 24.8%. Wanda Pictures is striving to accelerate the industrialization of China’s film business by utilizing Hollywood business mode, with the strong support from our fully developed industrial chain, and to make films that are international, entertaining and inspiring. When these technologies are combined with the sophisticated Dolby Cinema design, everything comes together to pull moviegoers more deeply into the story and transform their visit into an event. In just over a year, more than 200 Dolby Cinema sites have been installed or committed to across the globe, with 43 titles released or announced. Dolby Laboratories (NYSE:DLB) creates audio, video, and voice technologies that transform entertainment and communications in mobile devices, at the cinema, at home, and at work. For more than 50 years, sight and sound experiences have become more vibrant, clear, and powerful in Dolby. For more information, please visit www.dolby.com.